We bought a gigantic grilling cookbook with lots of great recipes, but after trying the ginger sauce recipe, we rarely make anything else. Yes, it is THAT good! After giving the recipe to yet another friend I decided that it should be posted here. 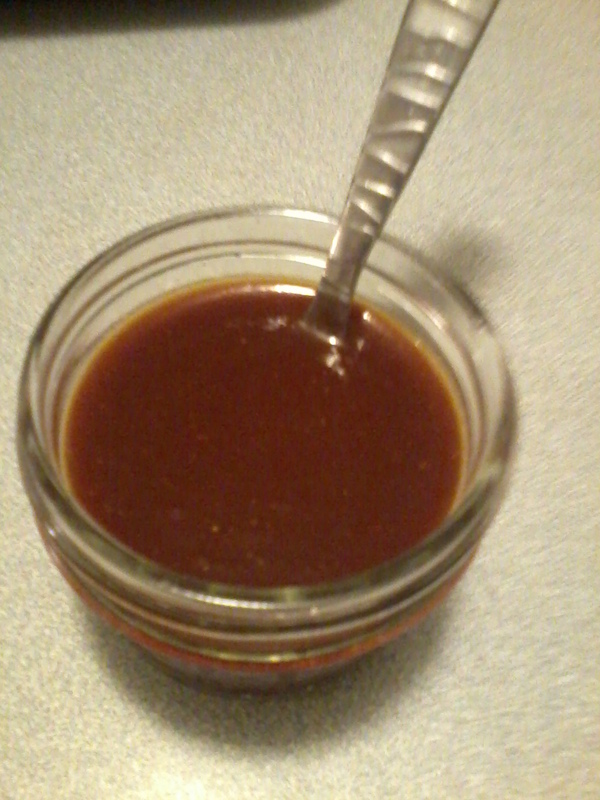 The original recipe called for brown sugar, which I replaced with honey. Although the recipe calls for this to be prepared ahead of time and refrigerated, I don’t think that we have ever done it and the sauce still turns out fabulous. So if you are like me – a little spacey and always behind schedule… don’t worry make it anyway! Great on any type of meat – brush it on during the last few minutes of grilling time or serve on the side. Enjoy!